LANZADOS A LA FAMA GRACIAS A INTERNATIONAL TIME EN 1966 EN UN CONCIERTO EN LA ANTIGUA ESTACION DE CHALK FARM, LA ROUNDHOUSE. 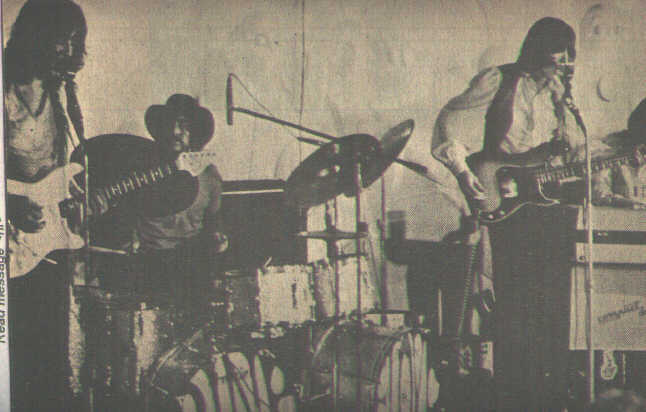 EN ESTE PRIMER CONCIERTO SOLO ES UN TRIO FORMADO POR WATERS, WRIGHT Y MASON. POSTERIORMENTE, SE INTEGRA SYD BARRET. PINK FLOYD AUN NO EXISTE, PARA ESTAS FECHAS SE TIENEN VARIOS NOMBRES: THE ARCHITECTUAL ABADABS Ó THE SCREAMING ABADABS AND THE TEA SET. ESTOS NOMBRES SURGEN A QUE ERAN ESTUDIANTES DE ARQUITECTURA EN LA ESCUELA POLITECNICA DE LONDRES.